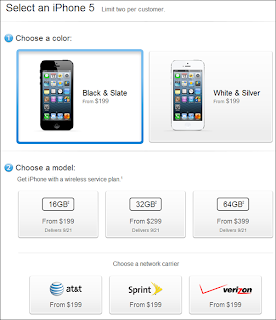 Home announcements Apple iPhone5 launch News Pre-Order Shiny iPhone 5 Right Now! Pre-Order Shiny iPhone 5 Right Now! With the whole announcement buzz come and gone, the time has come for prospective buyers to pre-order so-much-awaited iPhone 5! For those preferring to overnight at their computers rather than to stand in a huge line at a retail store, the latest smartphone by Apple is now available for you to pre-order in whole 9 countries, including United States, Canada, UK, France, Germany, Australia, Japan, Hong Kong and Singapore! More countries will be added to this list starting on September 28th. 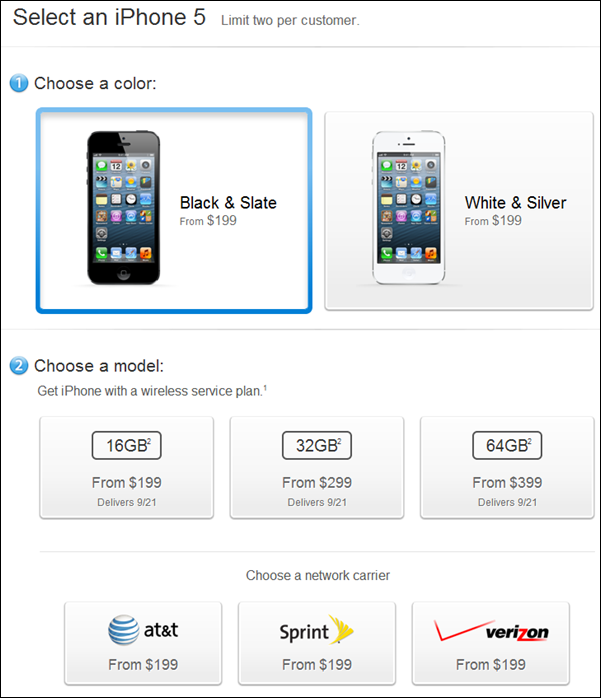 In difference with the last year’s glitches during iPhone 4S online pre-orders, Apple now hopes the process goes smoothly. It should also be notes that the three carrier partners - Verizon, Sprint and AT&T are already taking pre-orders in the US right now, with shipping starting on September 21st. As for the pricing, the iPhone 5 starts at $199 on contract for the 16GB edition, with $100 more for 32GB and even moving up a $200 for the 64GB model. For those of you still shilly–shallying, we’ve provided an iPhone 5 detailed review and a full comparison with iPhone 4S and iPhone 4. Pre-orders for the shiny new iPhone 5 are available here.